For your class fee I will sketch your pet on the canvas for you and supply everything you need to complete a gorgeous painting for you to cherish of your beloved pet! Make sure to sign up well in advance of the class and email me the photo of your pet so I can get the sketch ready for you!!! You can also upgrade for 8 dollars and I will paint the background for you as well as paint a black outline of your pets image!!! This is great for people who are nervous about their talents or who work slowly! 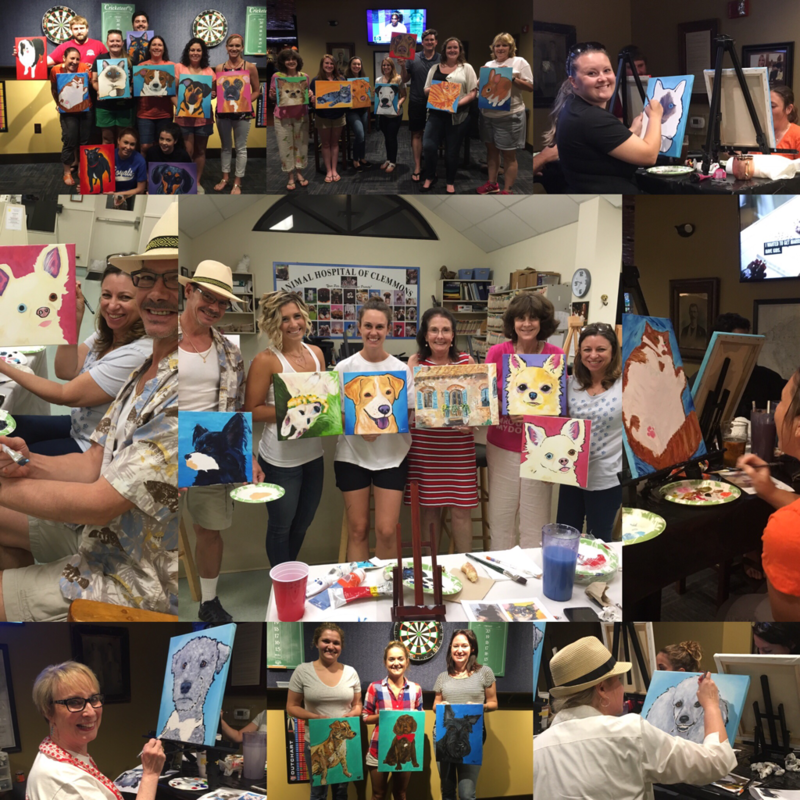 Want to paint something other than a pet? No Problem!! Just email me to see what other projects are available!! please email seannvicente@hotmail.com to discuss! I am available for private painting lessons as well as private painting parties you can host in your own home!! !